The Vodafone Fijian Under-20 striker Iosefo Verevou is grateful for being given a second chance. 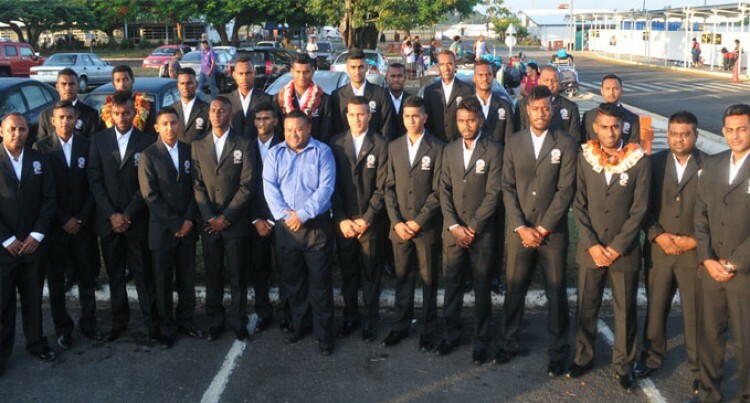 Yesterday, the Naselai, Rewa native departed with the team for the FIFA U20 World Cup in New Zealand. He was among the five players who broke camp and were suspended from all levels of football for three years from June 28, 2014 and fined $5000 by Fiji Football Association board of control. “I thought I will not play soccer again,” he said. Meanwhile, the team will play two friendly matches against Mexico (May 15) and Columbia (May 18) at NSW Academy Ground at Park Lane, Sydney before flying across the Trans-Tasman sea to debut against Germany in the 2015 FIFA U20 World Cup match at Christchurch.